2007 Toyota Sienna LE 7-Passenger for sale at Blue Bell Motorcars in Blue Bell, Pennsylvania! No Accidents, Rear Air Conditioning and Heat, Satellite Radio Ready, and Aux Input. Fully Serviced with New PA Inspection, New Front Brakes and Rotors, New Battery, and Engine Tune up consisting of New Spark Plugs, and Coil Packs. This Toyota Sienna has more power for 2007, for improved acceleration and passing power, yet it still returns fuel economy that's near the top of its class. 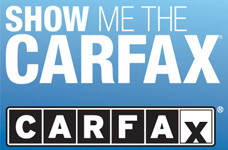 The Sienna's interior is comfortable for most adults in all three rows. It also stands out as having an especially smooth ride and is among the best in minivans. It has all the elements that make minivans so useful, with good performance, an abundance of feature choices and excellent finish and function. The Sienna is big and roomy, but it doesn't drive bulky and it's not hard to park. It's smooth, responsive and quiet, and compared to sport-utility vehicles with comparable functional capability, it's more fuel efficient. It will switch from eight-passenger mini-bus to cargo hauler in minutes, with room for full sheets of plywood, 10-foot ladders and significantly more cargo space than most full-size SUVs. It will tow a family camper or small watercraft, and it doesn't look odd in the line for valet parking. Sienna also offers all the important safety equipment, and then some. Front passenger side-impact airbags, full-cabin head protection airbags and a sophisticated anti-lock brake system are standard. 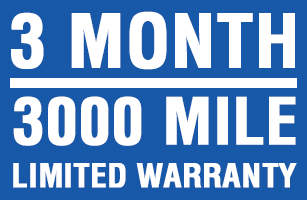 We include a 3 month / 3000 mile Warranty for Worry - Free Driving. Call STUART at 610-272-0200 to check out this miniVan beauty, you won't be disappointed.